I am hitting it on all cylinders this week, home run after touchdown. Moxie has been absolutely crushing the new recipes and I have rediscovered some forgotten wines. Tonight she banged up some Brazilian Shrimp Stew. Spicy, tasty and surprisingly filling. The basic ingredients are shrimp, spinach, garlic, coconut milk, red peppers and Ro-Tel (a fine combination of tomatoes and chiles), all topped with fresh cilantro. 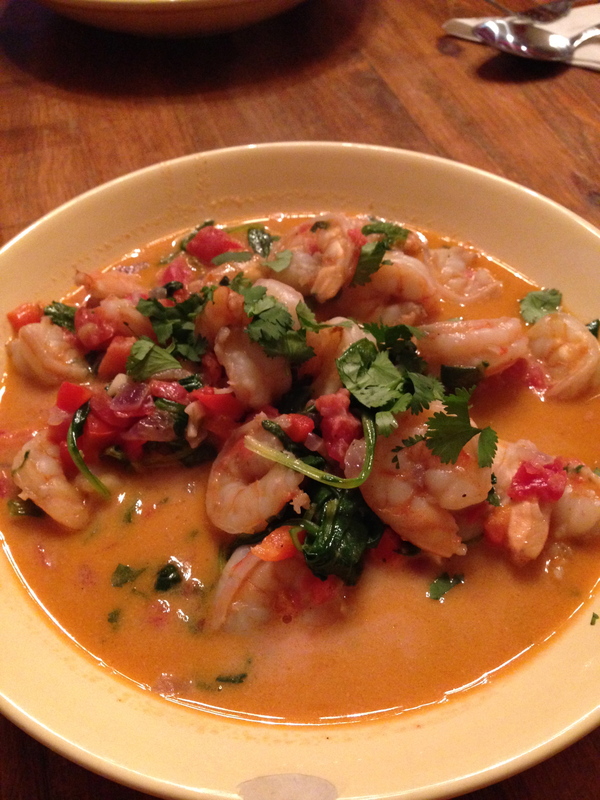 It reminds me of Tom Yung Goong, that fiery Thai soup but more focused on the shrimp and coconut. I needed a fruity wine yet again and was at a loss. 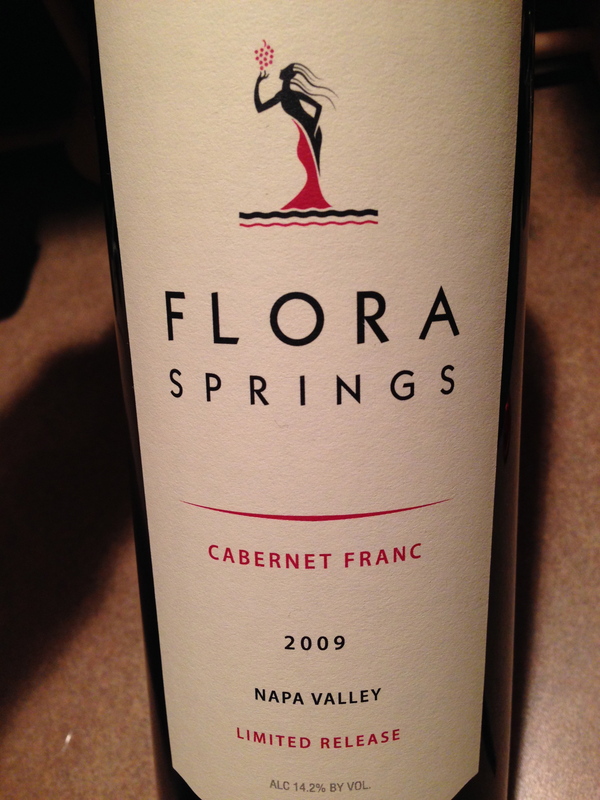 A search of the cellar brought the ’09 Flora Springs, which I hated a year ago. I figured that it could meet the drain if it didn’t work out for the pairing since I had no predispositions about it. The wine has really come alive. A lighter shade of purple in the glass, it offered blueberry fruit on the grill. The initial taste was impressive with blueberry, toasty oak and some anise. The wine has a certain sweetness, but not cloying or bothersome. The heat of the dish needed that fruit aspect combined with a sweetness that Cabernet Franc occasionally possesses along with a certain perfume element. The structure is fine with some tight grained tannins lurking and a balanced acidity, once again trademark characteristics of the varietal. I think this wine has finally hit it’s stride and will last another 3 years. It runs $30 and 89 points but really a 3 star effort considering the price. I am glad I gave it the year I promised. Evolution is a wonderful thing as long as it is timed just right! Salut….